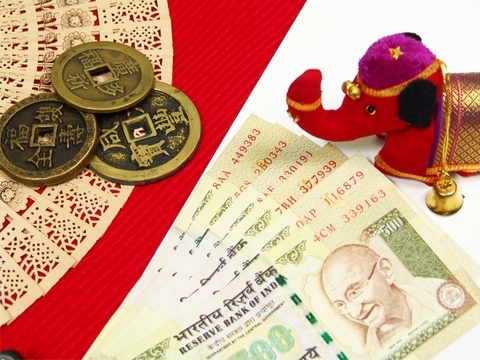 The World Bank’s India Development Update of October 2013 says that although the recent turmoil in global markets has amplified India's macroeconomic vulnerabilities, the country's growth potential remains high. Indeed, the current economic turmoil provides India an opportunity to accelerate growth momentum through further reforms that improve the business environment, strengthen the banking and financial sector, narrow the infrastructure gap, and enhance fiscal space. The report says that India’s macroeconomic environment is expected to improve, with growth likely to accelerate gradually over the next two years. Economic activity is expected to pick up in the second half of FY 2014, although the speed of economic recovery could be impacted by the country’s present vulnerabilities–high headline inflation, an elevated current account deficit, and rising pressure on fiscal balances from the depreciation of the rupee. Nonetheless, core inflation is trending down, a bumper crop is expected in agriculture, and exports are likely to benefit substantially from the rupee’s depreciation. However, with the currencies of many other emerging economies weakening against the dollar, lasting improvements in export competitiveness will require policy efforts to fully take advantage of the emerging global opportunities. The report finds that growth has become more effective at reducing poverty. Between 2005 and 2012, India lifted 137 million people out of poverty and reduced the poverty rate to 22%. It notes that a much larger fraction of the decline in poverty is taking place in low-income states, and the poorest 40% are increasingly sharing the benefits of growth. On the other hand, inequality has continued to increase–the Gini coefficient rose from 30.9 in 2005 to 32.3 in 2012–and growth of the bottom 40% has not yet fully caught up with the average. With more than half of India’s population living between one and two poverty lines, many of the newly non-poor remain vulnerable to falling back into poverty as a result of minor shocks.